The Christmas season is upon us! While there is much to see and do this month, be sure not to miss out on some of the most important things. To help make sure you don't, check out this month's "Dolce To-Do" below! 1. Write your holiday cards - This year, log off, and put some pen to paper! Adding a personal touch to your Christmas messages, makes them all the more special. 2. Break out the Christmas carols! - You really can't get away from them, so you might as well join in! Carols are great to help get into the Christmas spirit, and spread some cheer. Consider getting together a small group and caroling around your neighbourhood, or even your office! 3. Eat lots of Panettone! - Don't be afraid to indulge in your favourite sweets or savory dishes. Yes, we need to be mindful of our diets, but then again, some of these sweets and dishes only come around once a year so ... YOLO! 4. Go out and play in the snow - With the cold weather outside, it's so easy to stay in and hibernate. However, don't forget that fresh air is important all year-round - so bundle up and go make some snow angels! Besides, you may be pleasantly surprised just how fun it is to act like a kid again! 5. Visit a Christmas market - Christmas markets are full of great finds! There are so many unique gift choices to discover, as well as interesting on-site experiences (pictures with Santa, fun selfie-walls, giveaways, etc.). What's more, when buying from a Christmas market, you are helping to support small businesses, so it's a win-win! 6. Reflect on the reason for the seaaon - We all love Santa, but that is definitely not what Christmas is all about. Be sure to take some time this season to reflect upon the true story of Christmas, and value it's teachings. 7. Host a party - In the midst of all the hustle and bustle this season, don't forget to actually spend time with your loved ones, instead of just sending them a gift. Whether you host a party at home, or organize a gathering at a restaurant (or other place of choice), the important thing is bringing friends and family together to spend some quality time. 8. Reflect on your year and prepare for the next - Take some time to think of all your accomplishments this year, goals you still need to work on, and all that you are thankful for. Then, look ahead to 2018, and make a plan for the new year! Consider what projects you would like to work on, goals you would like to reach, places you would like to visit, etc. 9. Give to others - Share the joy of the season, not just with family and friends, but with strangers as well - especially those in need. This time of year can be difficult for many. Consider helping to alleviate someone's stress or pain by donating or volunteering your time. 10. 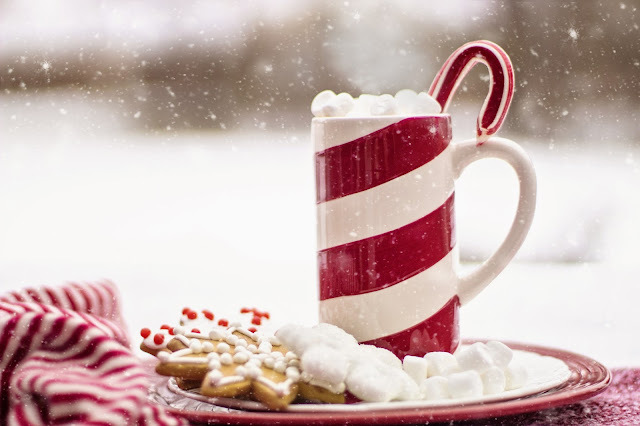 Make some time for yourself - Whether it's getting a manicure done, doing some personal shopping or sitting and enjoying a nice espresso by the fire, be sure to take a time-out during this holiday season to calm your soul and recharge.